Items in red are not currently available. Descriptions of activities and ministries are in the process of being updated. Please bear with us as we make our website more user-friendly. 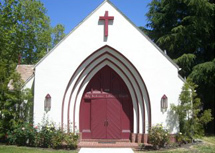 Welcome to the Holy Redeemer Lutheran Church website. We hope this site will help you learn more about us. It won’t take you long to discover that this is truly a unique community, rich in the relationships that matter most. Growing together, we worship, we serve, we laugh, we cry, we learn, and we reach out to our world with life-transforming truth. We reach out to you, as well. Our doors are open; Our hearts are open, too. If you have been thinking, praying, searching and hoping for a place to belong, we say again: Welcome to Holy Redeemer Lutheran Church! 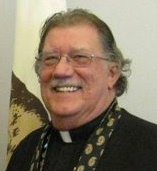 Meet Pastor Freesemann Our Pastor, John L. Freesemann, has led Holy Redeemer since 1990. During his tenure we have moved from being a constitutionally driven congregation (with the required committees and road blocks which that type of institution entails) to a progressive, permission giving community (with the freedom needed to engage in any ministry in which a member is interested). Pastor John has challenged us to look beyond the walls of our church to the needs of the community around us -- in both his preaching and his actions -- holding before us sound biblical stewardship principles and the latest discoveries in biblical theology, as well as demonstrating what it means to live out your faith within the world stage of politics, workers' rights and caring for the disenfranchised.